Regular follower of stocks and shares?… Do you have digital access on the latest in the bourse market?.. 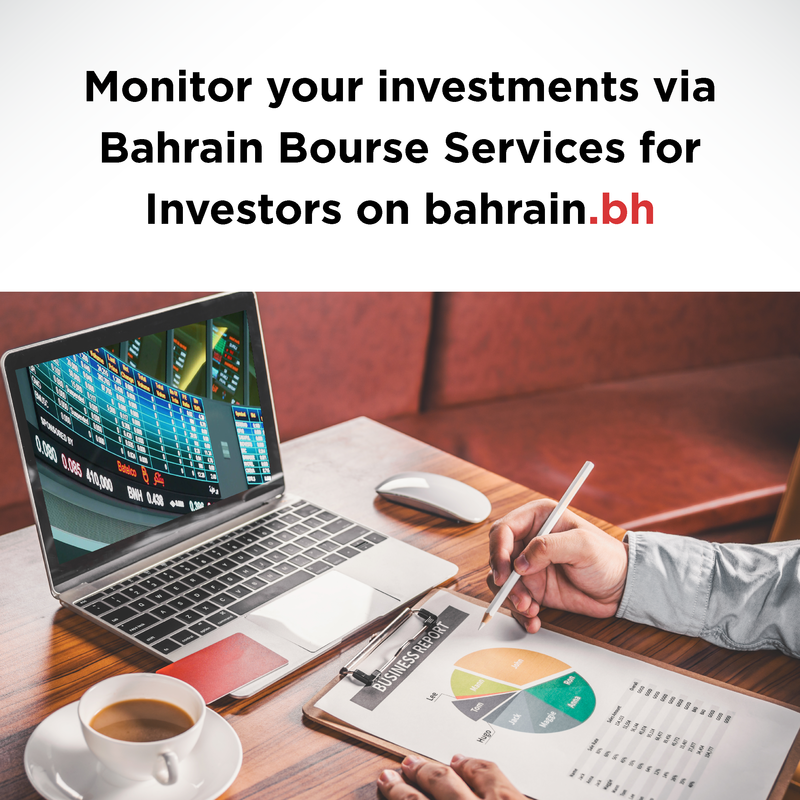 Provided by Bahrain Bourse, the Information & eGovernment Authority brings you the Bourse online services to where you may be with the ‘Bahrain Bourse Services for Investors’. The online facility is simple to use and completely secure. All your bourse needs can be found in one stop – the national eGovernment portal (Bahrain.bh) which gathers services that offer investors the convenience to access their investment portfolios online and view statements as well as details of ownership resulted from buying or selling of securities such as shares, bonds and REITs through broker firms. The service include the number of owned shares, available shares and pledged shares (if any). Additionally, users of the services can view information of securities transactions including ownership entitlements like bonus shares details along with others. To login to their private account, registered investors are only required to enter their number and password. Users with no account can still access and monitor listed instruments. Real-time data service is also available but restricted to registered account holders only. For any suggestions or complaints, you may report them through ‘Tawasul App’ (Bahrain.bh/apps) or contact us via the National Contact Center (8000 8001).